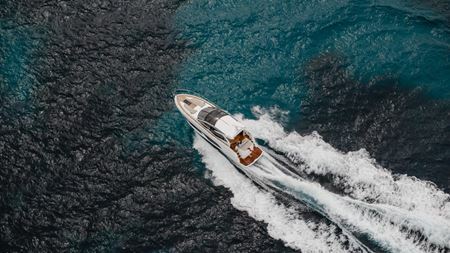 Luxury motor yacht manufacturer Sunseeker has used adhesive technology from Hexcel for the resin infusion of its new performance cruiser. Nouryon has introduced a powder version of its Perkadox 16 (BCHPC) organic peroxide for the North American composites market. Master Bond has developed a new one part, silver filled epoxy adhesive that reportedly has an unlimited working life at room temperature. The NCC has completed a year-long project to design and deliver large scale resin infusion (LSRI) technology. Victrex and Coriolis Composites have formed a partnership to improve thermoplastic unidirectional tape (TP UDT) prepreg lay-up. Chemical company Huntsman Corporation has introduced a new polyurethane (PU) resin system for automotive interiors. LED specialist Innovations in Optics says that it now offers a range of light engines that can photocure adhesives and coatings. Johns Manville (JM) has introduced MultiStar 266 rovings for sheet molding compounds (SMC) reinforcements. Johns Manville (JM), which makes continuous filament glass fiber, will showcase a range of its composites technology at JEC World 2019 in Paris. PEEK specialist Victrex has invested in technology to help reduce energy consumption during plastics processing. Hexcel's carbon prepreg patch technology has been selected as a finalist for the JEC Innovation Awards 2019 in the automotive category. PRF Composite Materials, based in Poole, UK, has installed a new unidirectional (UD) prepreg line.